Let Mum keep her children close at heart with this beautiful sterling silver disc pendant necklace. 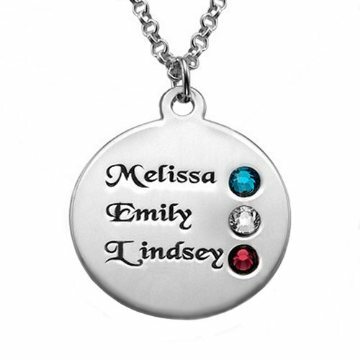 Available in 1, 2 or 3 names with a matching birthstone for each name. A sturdy rolo/belcher style chain in your desired length completes a stunning, unique piece of keepsake jewellery.